No matter what the United States has done wrong in the past the beauty of the United States is that everyone has the freedom to change their circumstances. Although, you may fortunate today that fortune could be just as easily gone tomorrow. 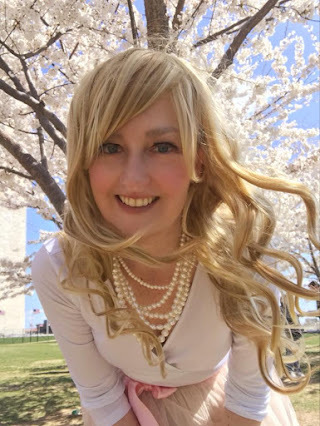 If a Sophisticate lives in the United States, she knows that she has the freedom to be an individual, free to work to change her circumstances for the better, and take charge of her own fate. The Central Labor Union adopted a Labor Day proposal in 1881 and appointed a committee to plan a demonstration and picnic. in 1882, the first Labor Day was observed in New York City under the guidance of the Central Labor Union. The celebration and recognition of the labor movement continued years later in the form of the Universal Declaration of Human Rights (UDHR). 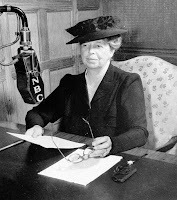 From 1933 to 1945 the First Lady, Eleanor Roosevelt believed that individuals had to accept personal responsibility and then act collectively to solve problems. She began to see this belief embodied in the labor movement, and she articulated this connection. A Sophisticate has the right to be treated and paid equally, if a Sophisticate feels as if she is not be treated equally or with respect she stands up for want she believes in and fights for what she knows is right. A Sophisticate knows that she has the freedom to change her circumstances. She receives only what she believes she deserves and what she is willing to work for... the best. Whether a Sophisticate has started her first job or you have been working for 50 years, whether she is part of a Union or not, works on a farm, works in retail, on the production floor, or in the office, Labor Day is for every and any Sophisticate who has ever worked a day in their life. For a Sophisticate, Labor Day is about appreciation and its about taking a vacation from working hard all year. ;D! *Farrell, Brigid O., Restoring Workplace Democracy: Eleanor Roosevelt and Labor Law Reforms, J. Workplace Rights Vol.. 14 (13), 329-350.